So far Mark Priceman has created 243 blog entries. I write on behalf of the U.S. Conference of Catholic Bishops’ Committee on Migration (USCCB/COM) to urge you to support H.R. 6, the “American Dream and Promise Act of 2019.” This legislation, introduced on March 12, 2019, by Representatives Lucille Roybal-Allard (D-CA), Nydia Velazquez (D-NY),and Yvette Clarke (D-FL) on behalf of 201 other original cosponsors, would provide lawful permanent residency and a path to citizenship for qualifying Dreamers and holders of Temporary Protected Status (TPS) and Deferred Enforced Departure (DED). The American Dream and Promise Act of 2019 provides critical protection to Dreamers, immigrant youths who entered the United States as children and know America as their only home. The bill offers qualifying young people “permanent resident status on a conditional basis” and a path to full lawful permanent residency and eventual citizenship. Additionally, H.R. 6 provides lawful permanent resident status for eligible individuals from countries designated for TPS or DED as of 2016 and who have been living in the U.S. for at least three years. The American Dream and Promise Act of 2019 also amends current TPS law to require the Secretary of Homeland Security to provide a detailed explanation of a decision to terminate a TPS designation, including a report to Congress three days after publishing a notice of such termination. My brother bishops and I believe in protecting the dignity of every human being, particularly that of our children and families. The Catholic Bishops have long supported Dreamers and TPS holders, as well as their families. We recognize and admire these individuals as contributors to our economy, academic standouts in our universities, and leaders in our parishes. It is both our moral duty and in our nation’s best interest to protect them and allow them to reach their full God-given potential. For these reasons, we ask you to support and co-sponsor H.R. 6, the American Dream and Promise Act of 2019. If you already have joined as a cosponsor, we would like to thank you for your support. We also urge you to continue to work towards the larger legislative reform of our immigration laws that our country so desperately needs. As always, USCCB/COM stands ready to work with Congress to reform our immigration system in a humane, just, and common-sense manner. In January 2019, the Department of Homeland Security issued new policy guidance for “Migrant Protection Protocols.” On March 4, 2019, the Texas and Mexico Border bishops issued a statement voicing disagreement with the recent “Remain in Mexico” policy. Expressing their deep concern over the policy, the bishops noted: “We appeal to governments, in the name of our Lord Jesus Christ, that they not adopt policies that have the effect of increasing the suffering of the most vulnerable.” On March 13th, Bishop Joe Vasquez of Austin, Texas, Chairman of USCCB Committee on Migration along with Sean Callahan CEO of Catholic Relief Services released a statement of solidarity with the Texas-Mexico Border bishops regarding the human consequences of this policy. I was a stranger and you welcomed me (Mt 25:35). Driven by situations of extreme violence and poverty, many immigrants come to our border, in large caravans or small groups. 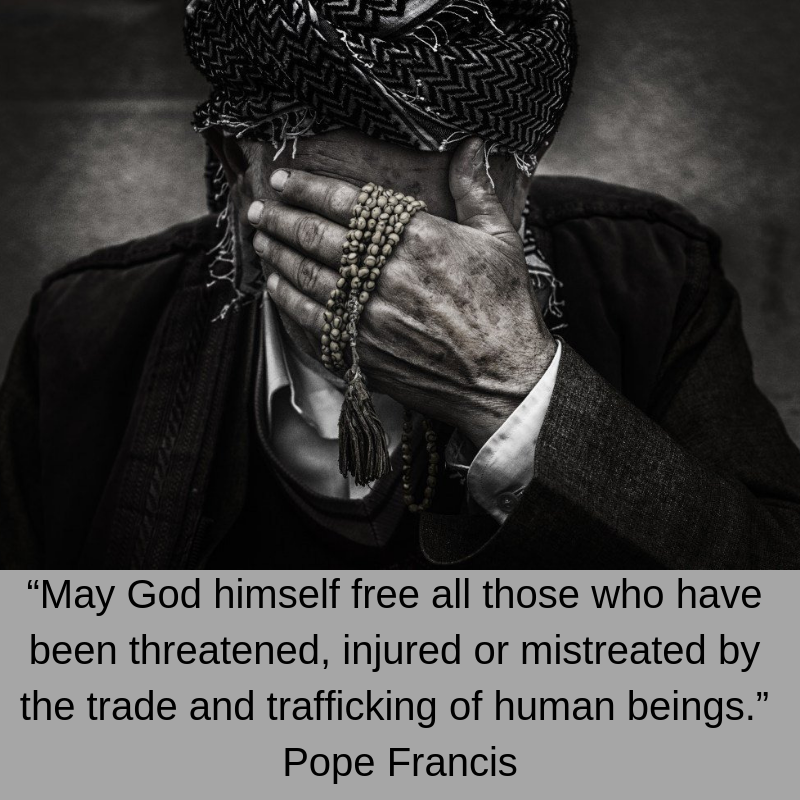 We urge everyone to discover, in these brothers and sisters who are suffering, Christ in need, and to give them the support they require, without assuming they are criminals, as they are sometimes perceived. The reality is different: many of them are victims of criminal elements in their own countries as well as along the course of their journey to the border. As bishops of the border between Texas and Mexico, we reiterate our commitment to continue to provide all the help our migrant brothers and sisters need, each distinct diocese joining with various religious and civil organizations that work in support of the immigrant. 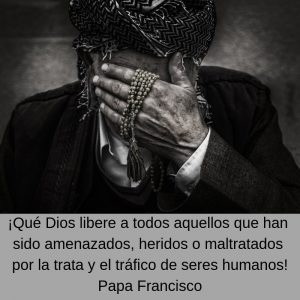 We appeal to governments, in the name of our Lord Jesus Christ, that they not adopt policies that have the effect of increasing the suffering of the most vulnerable. In particular, we express our total disagreement with the policy of the government of the United States to send to Mexico migrants who are waiting for their turn to appear before a U.S. judge who will decide whether or not they receive asylum. We oppose this proposal for several reasons, among others: 1) It will force Mexico to organize camps for tens of thousands of refugees, thus effectively undermining their right to seek asylum in the United States, and depriving them of the support of family members on U.S. soil. 2) It will effectively put out of their reach the exercise of their right to procure legal representation in their case before the court. 3) It will create a situation in which many immigrants and refugees will no longer seek the legal process through established ports of entry, but will try to enter the United States through high-risk locations in order to avoid the authorities. 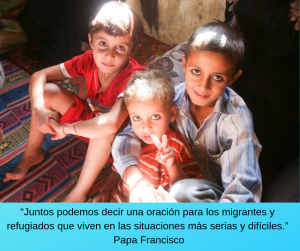 As pastors, we encourage our faithful to join ourselves to the God of hope and life, so that he may help us to welcome, protect, promote, and integrate immigrants, as requested by Pope Francis. Let us not grow tired of doing good (Galatians 6:9). Most Rev. Mario A. Avilés. C.O. Most Rev. Raúl Vera López, O.P. My name is Mario Eduardo Dorsonville-Rodríguez. 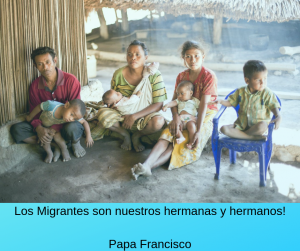 I am the Auxiliary Bishop of the Archdiocese of Washington and the incoming Chairman of the U.S. Conference of Catholic Bishops’ Committee on Migration (USCCB/COM). On behalf of USCCB/COM, I would like to thank the House Committee on the Judiciary, as well as the Committee Chair, Representative Jerrold Nadler (D-NJ), and the Ranking Member, Representative Doug Collins (R-GA), for holding this important hearing and for inviting me to testify before the Committee. The Catholic bishops have long supported and will continue to support Dreamers, as well as holders of Temporary Protected Status (TPS) and Deferred Enforced Departure (DED). We recognize these individuals as children of God, and we will remain focused in our efforts to ensure that they and their families can live dignified lives and reach their God-given potential. In this testimony, I provide a brief overview of USCCB’s work in serving immigrants and advocating for immigration reform, discuss the importance of finding a permanent solution for Dreamers and TPS holders, and share our key recommendations for Congress as it seeks a legislative solution for these individuals. The work of our Committee on Migration is carried out by USCCB’s Migration and Refugee Services (USCCB/MRS). USCCB/MRS works to advance the migration-related priorities of our Committee, which include advocacy and policy advancement around humane and comprehensive immigration reform, just and proportionate immigration enforcement, and improved access to justice and due process for immigrants and refugees seeking refuge and fleeing persecution. Among its many activities, USCCB/MRS is also a long-standing government partner, providing support for and assistance through the Catholic Charities network to refugees, foreign national and U.S. citizen human trafficking survivors, Cuban and Haitian entrants, and unaccompanied immigrant children. Our work assisting and advocating on behalf of immigrants and refugees stems from the belief that every person is created in God’s image. 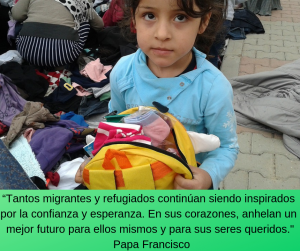 We follow the teaching of the Gospel, and in his own life and work, Jesus identified himself with newcomers and with other marginalized persons in a special way: “I was a stranger and you welcomed me.” (Mt. 25:35). When we see Jesus’s example we reflect those values. Dreamers and TPS and DED holders are our neighbors, parishioners, and – most importantly – fellow children of God. We, as a Church, have long advocated for their legal protection, full inclusion into our country and the overall wellbeing of them and their families. USCCB worked with Members of the House and Senate in helping to draft the first versions of the DREAM Act in 2000 and 2001, and it has been calling for passage of the measure since that time . Even as we welcomed the announcement of the Deferred Action for Childhoods Arrivals (DACA) program in 2012, our Committee noted that it was not a substitute for enactment of the DREAM Act or similar legislative protections. We steadfastly believe that Dreamers need permanent legal protection, with a path to citizenship, enacted by Congress. Similarly, for years, USCCB has advocated for TPS for those seeking safety from the ravages of violence, environmental disasters, and despair. In fact, USCCB worked closely with Senator Dennis DeConcini (D-AZ) and Representative Joe Moakley (D-MA) to support enactment of the authority for TPS in the Immigration Act of 1990. Through its global presence and the work of Catholic Relief Services (CRS), the official humanitarian and development agency of the Catholic community, the Catholic Church has assisted and ministered to those who have experienced firsthand the ravages of armed conflict, violence, and environmental disasters in their home countries. Given this global presence, the Catholic Church consistently advocated for protections of nationals living in the United States when Congress began debating the concept of temporary protected status in various forms during the 1980s. Over the years, the USCCB and other Catholic entities have encouraged various Presidential Administrations to designate countries for TPS in situations of environmental disasters and political instability. In 2017, USCCB/COM led delegation trips to Haiti and to El Salvador and Honduras in order to explore conditions and the need to extend TPS for these countries. The reports found that despite some improvements by home countries, the conditions still existed for the extension of TPS, most notably as most of the home countries could not adequately handle the return and reintegration of their nationals as required by the statute. In addition to our call to protect the individuals directly impacted, the Church also views the need to protect Dreamers and TPS recipients as the need to protect families – the very foundation of our country and of our Church. Not only do Dreamers and TPS recipients deserve a chance to stay and fully integrate in the U.S. through permanent protections – they deserve to be able to stay with their families. Dreamers and TPS holders and their families should not face family separation. Family unity is vital for the strength of our country, our Church, and our communities. Knowing the many contributions of DACA youth to our nation, it was with extreme concern that we witnessed the Administration’s attempt to terminate the program in 2017. And, while the DACA termination has been partially and temporarily halted due to ongoing litigation, we know that DACA youth continue to face great uncertainty. Furthermore, we know that many of the over 1.8 million Dreamers do not have DACA protection. For these young people, Congressional action is the only solution. We see and hear about this uncertainty every day in our dioceses and in our parishes. I have been personally impacted by the stories I have heard from DACA youth in the Archdiocese of Washington. I have witnessed their tears, their secret concerns not only for their futures but for their families. Many ask: What will happen to me? What will happen to my family? Dreamers are exemplary youths. Like their name implies, they are examples of the American Dream. They are contributors to our economy, academic standouts in our universities, and leaders in our parishes. These young people have grown up in our country, some even choosing to put their lives on the line to serve in our armed forces. They truly exemplify the extraordinary contributions that immigrants have long provided to our nation. I have been privileged to meet so many of these ambitious young people who want nothing more than to work and achieve in this country so that they may better themselves and their families. This is the only home that they know and where they are sure they will be able to succeed because they are part of the language, the culture and they have their roots here. Dreamers are young people like Edith. Edith is a 19-year-old DACA recipient and student at the University of New Mexico. Born in Mexico, Edith was brought to the U.S. as a toddler by her mother and father. She grew up in Santa Fe, New Mexico with her parents and her two younger sisters, both of whom are U.S. citizens. As Edith states: “America is my home . . . . Despite being born in Mexico, I  always felt at home here, where I have grown up since arriving as a two-year-old.” Edith worked incredibly hard in school and graduated her high school class as valedictorian. She continues to excel in college and is double majoring in psychology and math. Her passion is helping others, and she finds time in her busy school schedule to volunteer at the Campus Agora Crisis Center, which handles area-wide crisis calls. Edith dreams of becoming a U.S. citizen so that she can one day work as a behavioral analyst for the F.B.I. Providing Dreamers, like Edith, with a path to citizenship will advance the common good and allow these young people to reach their God-given potential. Dreamers are young, educated, tax-paying individuals who are valuable members of American families, our work force, and our communities. They have not only the support of the Church but of the American public as well. Finding a solution for these admirable young people is both the moral and common-sense path. On behalf of the USCCB Committee on Migration, I urge Congress to act now to ensure that Dreamers have permanent legal protection that includes a path to citizenship. Over the past few years, we have also expressed our deep concern over the Administration’s attempt to terminate the TPS designations for many countries, including Haiti, Honduras, Nicaragua, and El Salvador. These termination decisions have left hundreds of thousands of individuals and their families in a state of uncertainty and fear. While the terminations are subject to multiple lawsuits, an estimated 320,000 TPS holders – some of whom have lived in the U.S. for over twenty years – face potential loss of status and family separation if Congress does not act. TPS holders need a permanent legal solution that only Congress and the President, working together, can provide. Like Dreamers, TPS and DED holders are part of our country and our communities. Many also are a part of our Church. They worship in our local parishes, own homes and businesses, and contribute to our economy. Many TPS recipients have families in the U.S., including over 273,000 U.S. citizen children. It is, again, the issue of family unity that is so pressing to the Catholic Church in the case of TPS holders. Given the large number of U.S. citizen children who have TPS holder parents, we must think about what the terminations of TPS would do to these families. What type of choices would these families have to make? Would families endure separation of parents living apart from their children in order to ensure U.S. citizens receive the educational opportunities in the United States to which they are entitled? These are questions that we as the Church are facing, and, more importantly, TPS holders and their families are grappling with every day. I know that Blanca is not the exception – I have met and spoken with many similar TPS holders and their families. In April 2018, I welcomed my brother bishops from El Salvador to Washington, D.C., and during their visit, I had the opportunity to join them not only in their meetings with the U.S. government but also in their community dialogues. During the community dialogues, which were held in conjunction with special Masses hosted at St. Camillus Parish, in Silver Spring, Maryland, the Shrine of the Sacred Heart, in Washington, D.C., and the Cathedral of St. Thomas More, in Arlington, Virginia, I repeatedly heard of TPS holders’ many ties to the U.S. and the anxiety they and their families face given the possibility of being separated. Finding a solution for TPS holders will ensure that hardworking individuals are not ripped from their homes, families, and businesses. It is the just and right course of action – not only for these families but for our communities. Protects All Dreamers and Offers Them a Path to Citizenship. A legislative solution should address the entire Dreamer population, as there are many young people who were brought here as children but were prevented from obtaining DACA due to the program’s age cut-offs and filing fees. Additionally, most of these young people know the United States as their only home and should not be denied the opportunity to obtain U.S. citizenship and fully participate and integrate into American civic life. Provides a Path to Citizenship for TPS and DED Holders. A solution should ensure a path to citizenship for individuals who have personal equities that are closely associated with U.S. interests, such as U.S. citizen children, businesses, and home mortgages. Maintains Existing Protections for Unaccompanied Children, Asylum Seekers, and Family-Based Immigrants. A solution for Dreamers and holders of TPS and DED must not be achieved at the expense of other immigrant children and families. Such a tradeoff would be heartless and untenable. We ask that you ensure any solution maintains existing protections for unaccompanied children and asylum seekers, as these protections help prevent trafficking and abuse, as well as ensure access to adequate care and due process. We also ask that you ensure that any solution for Dreamers and TPS recipients, at a minimum, maintain existing avenues for family-based and diversity-based immigration. Eliminating or reducing these avenues would be inconsistent with our values and encourage irregular flows of migration by people desperate to be reunited with close family members, from whom they have been separated from. We appreciate the Committee on the Judiciary’s attention to this important issue. And, we encourage all members of Congress to work towards a humane and just solution for these vital members of our communities. As always, the Catholic Church stands ready to work with you in achieving this goal and will continue to stand in solidarity with Dreamers, TPS holders and their families. Dreamers are young people who were brought to the United States without authorization as children by their parents or family members. Dreamers include those young people who have received Deferred Action for Childhood Arrivals (DACA), those who are eligible and did not apply for DACA, as well as other undocumented individuals of a similar age group who did not make the age-cut off for DACA (as they were slightly older or younger at the time). The Catholic Church advocates for permanent legal protection and a path to citizenship for all Dreamers, not just the DACA recipient population. TPS was established by Congress through the Immigration Act of 1990. TPS is intended to protect foreign nationals in the United States from being returned to their home countries if the home country became unsafe to return to during the time in which the individuals were in the U.S. Countries are designated for TPS due to armed conflict, environmental disaster, or other extraordinary and temporary conditions. See 8 U.S.C. § 1254a. First used in 1990, DED is a discretionary and temporary stay of removal that is granted to individuals from certain designated countries. Nationals from a certain country are designated for DED by the President under his constitutional authority to conduct foreign relations. Adjudicator’s Field Manual, Section 38.2 – Deferred Enforced Departure, U.S. Citizenship and Immigration Services, https://www.uscis.gov/ilink/docView/AFM/HTML/AFM/0-0-0-1/0-0-0-16606/0-0-0-16764.html (last visited March 1, 2019). USCCB, et al., Letter to Senators Hatch and Durbin on DREAM Act (March 6, 2003) (on file with USCCB). Statement of Archbishop Gomez, Bishops Welcome President’s Deferred Action on Dream Eligible Youth, Urge Congressional Action on DREAM Act (June 15, 2012), available at http://www.usccb.org/news/2012/12-110.cfm. See, e.g., USCCB, Letter to President George W. Bush on TPS for El Salvador, Honduras, and Nicaragua (April 4, 2001) (on file with USCCB); USCCB, Letter to President George W. Bush on TPS for Haiti (Oct. 8, 2008) (on file with USCCB). Claire Bergeron, Temporary Protected Status after 25 Years: Addressing the Challenge of Long-Term “Temporary” Residents and Strengthening a Centerpiece of US Humanitarian Protection, 2 Journal on Migration and Human Security 22, 26-28 (2014). See, e.g., USCCB, Letter to President Barack Obama on TPS for Haiti (Jan. 15, 2010), available at http://www.usccb.org/news/2010/10-013.cfm; USCCB/COM, et al., Letter to Secretary Jeh Johnson and Secretary John Kerry on Protection for and Aid to Haitians after Hurricane Matthew (Nov. 1, 2016), available at https://justiceforimmigrants.org/wp-content/uploads/2017/09/Catholic-Partners-Haiti-Letter-11.1.16-FINAL1.pdf. USCCB/COM, Haiti’s Ongoing Road to Recovery: The Necessity of an Extension of Temporary Protected Status (2017), available at http://www.usccb.org/about/migration-policy/fact-finding-mission-reports/upload/mrs-haiti-trip-report.pdf. 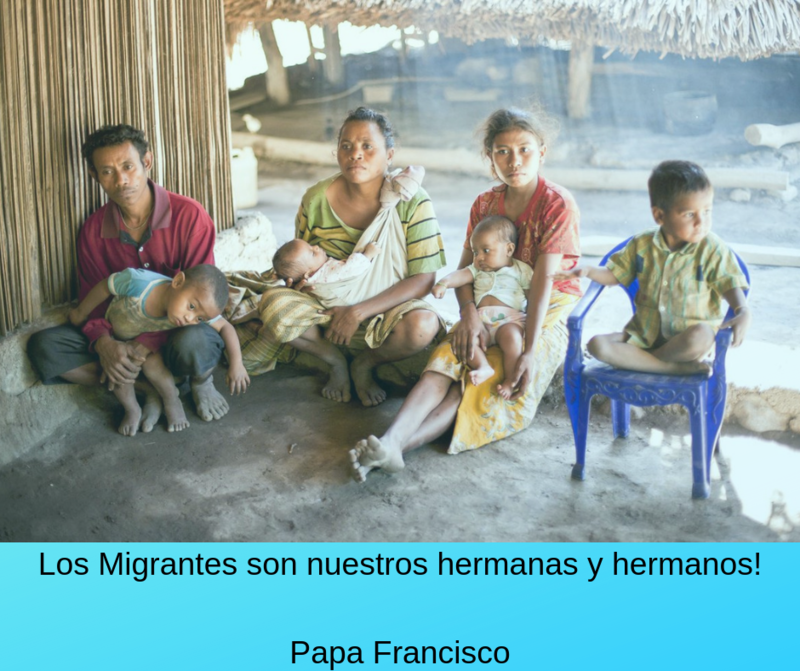 USCCB/COM, Temporary Protected Status: A Vital Piece of the Central American Protection and Prosperity Puzzle (2017), available at http://www.usccb.org/about/migration-policy/fact-finding-mission-reports/upload/el-salvador-honduras-report-20171016.pdf. Statement of Cardinal DiNardo, et al., USCCB President, Vice President and Committee Chairmen Denounce Administration’s Decision to End DACA and Strongly Urge Congress to Find Legislative Solution (Sept. 5, 2017), available at http://www.usccb.org/news/2017/17-157.cfm. Robert Warren and Donald Kerwin, Center for Migration Studies, A Statistical and Demographic Profile of the US Temporary Protected Status Populations from El Salvador, Honduras, and Haiti, 5 Journal on Migration and Human Security 577 (2017). Name changed to protect client confidentiality.